Music Scene Festival "Ana in Town"
Amphitheater of Excelsa Real Estate on Dubrovnik mountain Srđ will become an astonishing stage on the open air. Ana Rucner and her guests, young singer Marko Bošnjak and String Quartet Rucner will welcome, on June 21, with their inspiring music at 5 a.m. rise of the first summer sun and celebrate The World's Music Day. Esteemed Croatian cellist is organizing, for the eight time, her own Festival: Ana in the City. 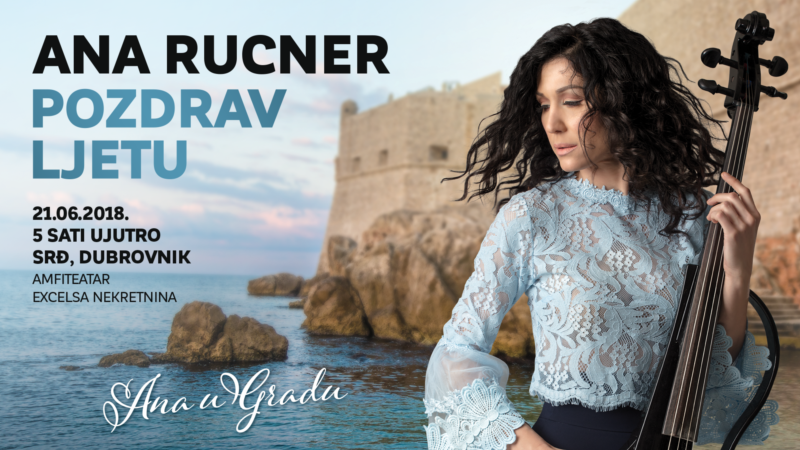 She is giving as a gift, this unique concert, recognized as original project also outside Croatia, to citizens of Dubrovnik, guests and tourists. Free entrance.